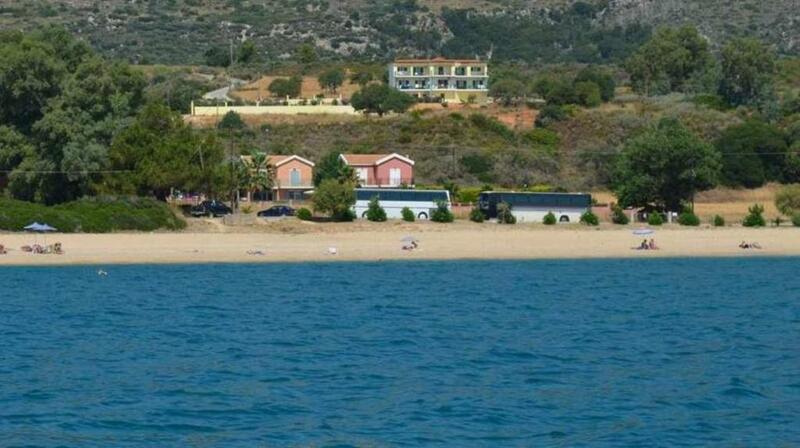 Located in Skala, in South-East Kefalonia, Summer Sun is only 500 feet away from the beachfront. It offers air-conditioned rooms with spacious balconies and terraces, and panoramic views of the Ionian Sea. All guest rooms include a kitchenette, TV, fridge, safety deposit box and private bathroom. Summer Sun provides easy access to a sandy beach just in front of the hotel. Free private parking is possible on site. When would you like to stay at Summer Sun? This studio opens out to a large balcony with views over the Ionian Sea. This 2-bedroom apartment features air conditioning and a kitchenette with a fridge and kitchenware. It can accommodate an extra bed. This twin/double room features a stovetop, air conditioning and kitchenware. The "Summer Sun" apartments is a family business with the aim of offering a pleasant and relaxing stay to the guests. 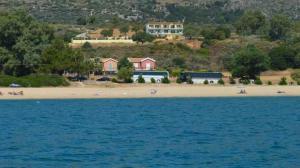 The rooms were built in 2009 and are located 150 meters from the beach of Skala. They are a choice for both couples and families who want privacy and panoramic views of the Ionian Sea. House Rules Summer Sun takes special requests – add in the next step! Summer Sun accepts these cards and reserves the right to temporarily hold an amount prior to arrival. Please inform Summer Sun of your expected arrival time in advance. You can use the Special Requests box when booking, or contact the property directly using the contact details in your confirmation. We need at least 5 reviews before we can calculate a review score. If you book and review your stay, you can help Summer Sun meet this goal. In the kitchen area there was no kettle or toaster, which we purchased on the day we arrived. 100 metres up on a hill, which makes it unsuitable for anyone with walking difficulties. Wonderful apartment with lots of space and amazing views of the sea from the very large balcony. All balconies have a sea view which is unusual in Skala. Good service from the owner, Spiros. Left his phone number in case of any problems. Free air conditioning, wifi and safe. Near to large supermarket for all requirements. A short walk to the beach, bars and restaurants. Will be returning to this beautiful property in the future and would recommend staying there.